Greetings and welcome to the Northwoods! My name is Joel DeBoer; I have spent my life fishing the waters of Central and Northern Wisconsin and enjoying the beauty of Wisconsin's outdoors - I can guarantee you will enjoy them as well! As owner of Wisconsin Angling Adventures, I'll work hard to keep you on the fish and show you a good time out on the water! Through countless days and nights on the water, I have worked hard to uncover local "hotspots" while perfecting the techniques necessary to produce trophy fish from them. I gained a vast knowledge of the fishing industry through my work at Gander Mountain in my earlier years, as well my role of part-owner and General Manager of the highly acclaimed Musky Mania Tackle. While working at Musky Mania Tackle, I teamed-up with world famous musky guide Pete Maina with both the tackle and guiding business. I have been an active member of Muskies Inc. and Bill's Musky Club, and am responsible for numerous awards for muskies caught and released by my clients as well as myself. What can we fish for? You can rest assured that the professional staff at Wisconsin Angling Adventures is going to be taking you to where the best bite is at! While we do spend plenty of time on the more well-known waters of Central and Northern Wisconsin, we have a great deal of those "honey-holes" you have probably never heard of! You know, the lakes, rivers, and streams whispered about in the dark corners of taverns; bodies of water that hardly ever see another soul, let alone another fisherman! Let us take you there? Lake Wausau * Lake Du Bay * Big Eau Pleine Reservoir * Willow Flowage * Wisconsin River * Manitowish Chain * Lake Mohawksin * Biron Flowage * Point Flowage * Half Moon * ...and others! * Fishing & Bow-fishing packages - contact us for complete details! * Positive attitude and willingness to try new techniques! 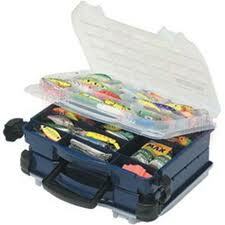 * Use of top-notch products from Abu Garcia, Berkley, Frabill, St. Croix, Stren, Mustad and more! * An enjoyable learning experience doing what we do best - taking you FISHING! We have special rates and packages available for corporate outings! "Todd - The kids will get a kick out of the website. Everybody had a great time - four hours in a boat without once being asked "when are we going in?" Well done. The boys can't wait to get back to their new sleeper hole. We will be in touch again for a little schooling in the finer points of walleye in the river. Take care"
"Joel, let me just say 'thank you' for a great weekend of fishing! My wife and I enjoyed the time on the water and learned a lot from you. We can't wait to come back next year; until then, we have plenty of pictures to keep us smiling!" "Thank you Joel for putting me on the biggest musky of my life! My brother and I had a blast fishing with you and learned a ton!" "Joel, ...Joe is a great host and fishing guide. Brian and I enjoyed our evening and Joe did everything short of tying the fish on our bait. I look forward to meeting you and working with your staff again." "Joel, We had an absolutely great time! I believe Joe was an exceptionally good guide. He definitely put our needs first and foremost. It was the best of many worlds for us... I don't have any suggestions for improvements."